Get ready to place your bets! The full list of pros competing for the coveted Mirrorball trophy on Dancing with the Stars’ 27th season has been released. On Tuesday, ABC announced the 13 “coaches” who’ll be helping celebrities realize their dance floor potential — and two names were noticeably absent from the list. But first, let’s talk about who we will see hoofin’ it. Troupe member Brandon Armstrong has gotten an upgrade to pro and will be joining some very familiar faces with fan favorites Cheryl Burke, Gleb Savchenko, Sharna Burgess, Alan Bersten, Witney Carson, Artem Chigvintsev, Lindsay Arnold, Keo Motsepe, newlyweds Emma Slater and Sasha Farber, as well as newly engaged Val Chmerkovskiy and Jenna Johnson. 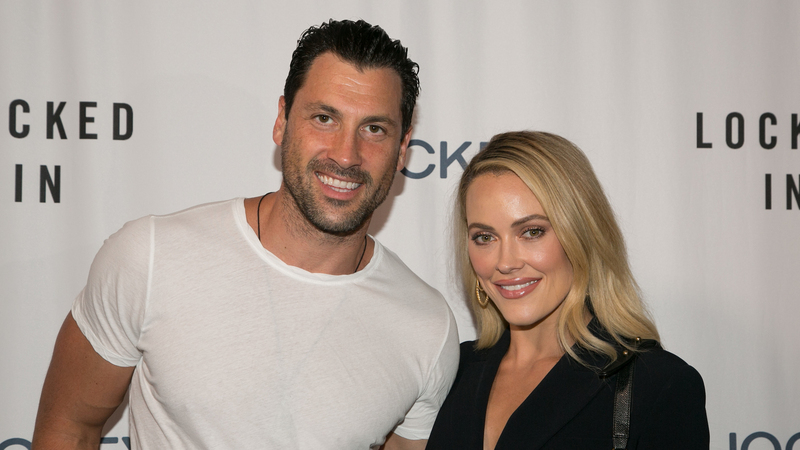 By now, you’ve probably realized which high-profile dancing couple isn’t present: Val’s brother, Maksim Chmerkovskiy, and fellow dance pro and wife Peta Murgatroyd. Don’t worry, though; it’s unlikely there’s any drama in the DWTS-hood. True, Murgatroyd and Chmerkovskiy won’t be twirling any contestants to victory this season. However, it’s understandable when you consider the fan favorites (and current power couple) have a lot going on outside of DWTS. Last season, Murgatroyd and Chmerkovskiy couldn’t participate due to scheduling conflicts with their dance tour, "Maks, Val & Peta Live on Tour: Confidential." While the pair hasn’t officially commented on their absence this season, both have branched out. So, who knows? Maybe next season they’ll be juggling fewer projects and make a return to the DWTS stage. If not, they’ll undoubtedly still support their fellow pros (and in Maks’ case, his brother) from afar. And, hey, if we’re really lucky, maybe Murgatroyd and Chmerkovskiy will live-tweet DWTS. Who doesn’t love a good live-tweet from an inside source? Although we’re still waiting to hear which celebrities will be competing on the upcoming season, there's no question there will be plenty of dance-related fodder to dissect each week.